Always and eternally AIGNER! 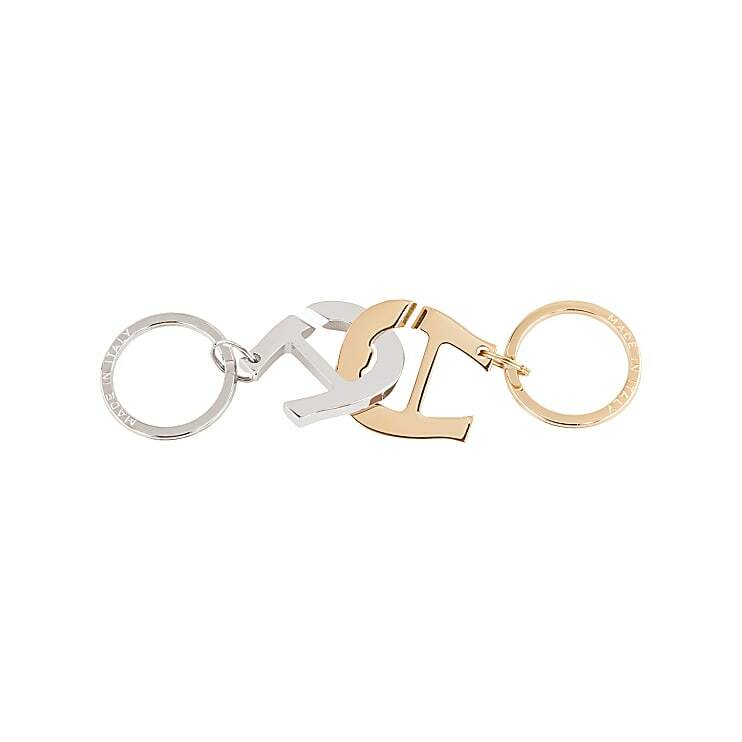 This key chain entwined AIGNER Logos that embodies infinity comes in a hip two-tone design of silver and gold-colored elements. Two rings allow you to attach a number of keys.